For Universal Pictures, it seems the only thing scarier than Frankenstein or the Mummy is a lack of creative leadership. 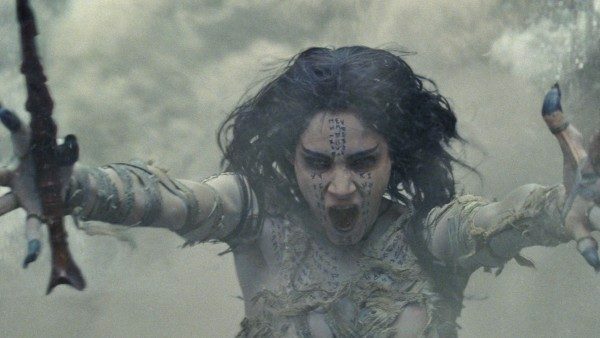 Following this year’s attempted launch of a shared cinematic universe incorporating its famous monster characters (beginning with June’s Tom Cruise vehicle The Mummy), Universal was thrown into a nightmare scenario of its own last week when writers/directors/producers Alex Kurtzman and Chris Morgan announced that they were leaving the so-called “Dark Universe” project and ending their partnership with Universal. Kurtzman and Morgan had been tapped as the creative leads for the Dark Universe, concocting the mythology surrounding updated versions of characters like Frankenstein’s Monster, the Mummy, and the Invisible Man, as well as personally helming many of the universe’s feature films. 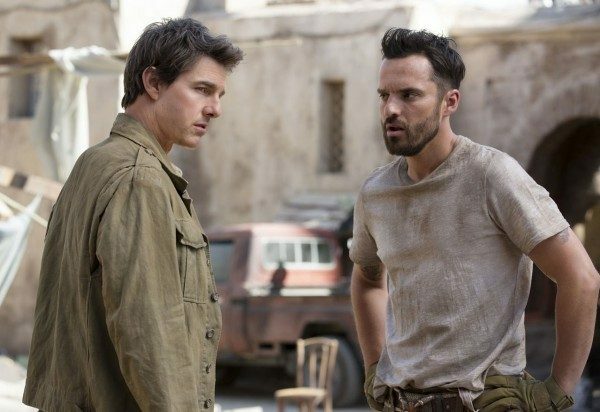 But due to the financial and critical failure of The Mummy, a project on which Kurtzman served as story contributor, director and producer (alongside producing partner Morgan), both individuals have decided to exit the franchise. In response, Universal has halted production on the next planned Dark Universe feature, Bride of Frankenstein, and all signs suggest the studio may be abandoning their monstrous foray altogether. It might seem premature to cancel an entire franchise based on the failure of a single film, but a closer look reveals that the Dark Universe may have had far more internal problems than one might think. In order to understand the full scope of the Dark Universe endeavor, one must begin with the birth of Universal’s iconic monsters. 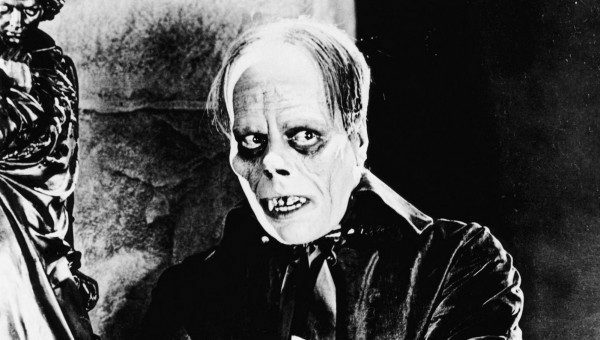 The studio’s monster franchise can be traced back to the early 1920s, when the success of silent films like the Lon Chaney-starring The Hunchback of Notre Dame and The Phantom of the Opera led Universal to produce a string of movies centering on physically-disfigured and often socially-alienated monster characters. The 1930s brought a series of literary adaptations, from Bela Lugosi’s memorable performance as Dracula to Boris Karloff’s portrayal of Frankenstein’s Monster and Claude Rains’ The Invisible Man, as well as original stories like The Mummy and Werewolf of London. The monster series continued through the 1940s and 1950s with films like The Wolf Man and Creature from the Black Lagoon. This period also technically marks the beginning of Universal’s attempts at creating a shared monster universe, with movies such as Frankenstein Meets the Wolf Man, as well as a series of films in which comedians Abbott and Costello encountered the various Universal monsters. By the 1960s, the monster fad had all but ended, though many modern directors claimed to have been inspired by Universal’s horror classics. Some of these filmmakers later pitched Universal ideas for updated interpretations of their cherished horror classics. The first of these projects to come to fruition was director John Badham’s 1979 Dracula remake. Next came producers James Jacks and Sean Daniels’ planned remake of The Mummy in the early 1990s. After cycling through several directors for the project, Universal finally settled on Stephen Sommers, who pitched his vision of the film as an Indiana Jones-inspired action-adventure film. 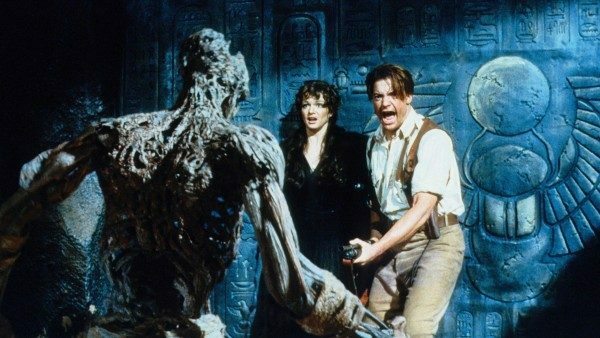 1999’s The Mummy incorporated several elements from the original Boris Karloff movie, such as the concept of re-animated Egyptian high priest Imhotep attempting to track down a woman he believes to be the reincarnation of his lost love. Despite a mixed critical reception, the film was a box office success and spawned two sequels, a handful of prequels, and an animated series. Trusting Sommers’ leadership, Universal chose him to write and direct another adventure film based on its classic monster characters, 2004’s Van Helsing. This movie, which starred Hugh Jackman and Kate Beckinsale, marks Universal’s second attempt to connect its monsters in a single universe. The film brings Jackman’s titular monster hunter up against Frankenstein’s Monster, Dracula, Dr. Jekyll and Mr. Hyde, and a horde of werewolves. The movie also introduces the idea of a secret organization dedicated to eliminating evil beings, a concept Universal would eventually reuse in their Dark Universe. Unfortunately for Sommers and Universal, Van Helsing proved to be a box office bomb and a critical failure. The studio moved on, offering up the 2010 reboot The Wolfman, which also failed to land at the box office. 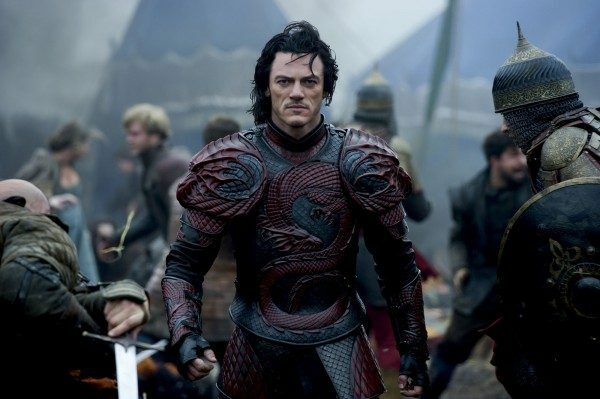 Then, in 2014 came the action movie Dracula Untold, an origin story of sorts that follows Luke Evans’ warrior prince Vlad the Impaler’s evolution into the vampire Dracula. This movie represents the beginning of Universal’s master plan for a true shared universe of monster films. After principal photography on the movie was completed, reshoots were arranged in order to connect the film to a planned movie series that Universal referred to as its Dark Universe. Indeed, the movie’s final scene stands apart from the rest of the story, jumping ahead in time to present-day London, where Evans’ Dracula is stalked by Charles Dance’s “Master Vampire” character. Director Gary Shore claimed that the scene was intended as an optional starting point for the Dark Universe, should Universal choose to move forward with their plans. Apparently, the Master Vampire was meant to function as a recurring character throughout the Dark Universe films, similar to Samuel L. Jackson’s Nick Fury in the Marvel Cinematic Universe. Dracula Untold producer Alissa Phillips further hinted at plans for Evans’ Dracula to appear in a planned reboot of The Mummy, which would also serve as a part of the Dark Universe. This, at last, brings us to this year’s The Mummy. 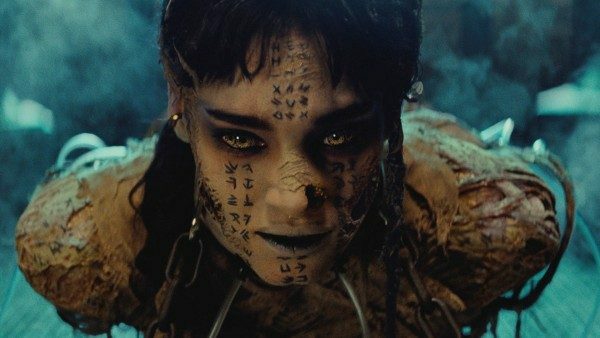 In 2012, Universal began work on a second reboot of the Mummy franchise, eyeing several directors before settling on Alex Kurtzman. By the end of 2015, Tom Cruise had signed on as the lead, with Sofia Boutella jumping aboard as a new female version of the Mummy. As the movie began to take shape, Universal tasked Kurtzman and producer Chris Morgan, along with the film’s screenwriters, to fit the story into a larger universe of monster characters. Following the overwhelmingly negative critical and commercial performance of Dracula Untold in 2014, the studio intentionally downplayed that movie’s significance and positioned The Mummy as the first official entry in its Dark Universe. Thus, The Mummy’s filmmakers planted seeds in the movie that were intended to pay off later in the series. While the film focuses on Cruise’s Sergeant Nick Morton as he accidentally resurrects Boutella’s mummified Egyptian princess Ahmanet, it also introduces Morton to Russell Crowe’s Dr. Henry Jekyll. Jekyll serves as the leader of a secret group known as Prodigium that is dedicated to eliminating supernatural threats. The movie positions Prodigium similar to the way the fictional defense agency S.H.I.E.L.D exists within the Marvel Cinematic Universe – as an organization that will feature in the plot of each Dark Universe film so as to connect the movies. Jekyll is set up to serve as the Dark Universe’s Nick Fury character (the role that Dracula Untold’s Master Vampire was initially intended to fill). The Mummy even includes a scene where Morton has to fight Jekyll off when he transforms into his monstrous alter ego, Mr. Hyde. At the end of the film, Morton allows himself to be possessed by the Egyptian god Set, which grants him the power he needs to finally destroy Ahmanet while also making him a supernaturally cursed human. The movie’s open-ended conclusion suggests Morton will show up in future Dark Universe entries. Universal was clearly using the film primarily to set the stage for their Dark Universe, but they didn’t stop there. A few weeks before The Mummy opened, the studio released a sizzle reel of footage from their classic monster movies to introduce their new franchise, concluding with an official Dark Universe logo. The video also included links to Dark Universe accounts on Facebook, Twitter and Instagram. Universal then released a photo of the cast they had assembled to portray modern versions of their classic monsters in the new universe, including Cruise, Crowe and Boutella along with Javier Bardem as Frankenstein’s Monster and Johnny Depp as the Invisible Man. Rumors suggested that the studio was also planning reboots of Creature From the Black Lagoon and The Wolf Man, with the latter possibly starring Dwayne Johnson. To many, it seemed like a classic case of putting the cart before the horse. The studio was committing wholeheartedly to a series of interconnected films before even releasing the first movie in the franchise. And The Mummy did not seem destined for a successful opening. Early trailers failed to ignite significant buzz, a problem that was further exacerbated when an incorrect cut of one of the trailers was accidentally sent to several IMAX theaters. This version lacked the proper audio track, instead featuring almost nothing other than the sound of Cruise’s various screams and grunts, which came across as comical rather than thrilling. Thus, a movie that already seemed to be headed for a lukewarm reception became, for many, utterly impossible to take seriously. It was perhaps not much of a surprise, then, when the movie opened in June to poor reviews and a massively disappointing box office haul in the wake of Wonder Woman’s recent release. Most critics cited as the movie’s main problems its failure to deliver either a quality horror movie’s scares or a decent action film’s excitement, Tom Cruise’s reliance on the cocky hero type he has consistently played for the past several years, and the film’s shoehorned plot points meant to set up the Dark Universe. It seemed that by working so hard to lay the groundwork for future movies, Universal had shot itself in the foot. But the problems ran deeper than that. According to reports publicized after The Mummy’s release, Universal had granted Tom Cruise almost unheard of creative control over nearly every aspect of the film, allowing him to make directorial choices that contradicted Kurtzman’s, rewrite the screenplay during production, and expand his character’s role at the expense of the other actors. Reportedly, he even downplayed Boutella’s role in the film in order to maximize his own screen time. 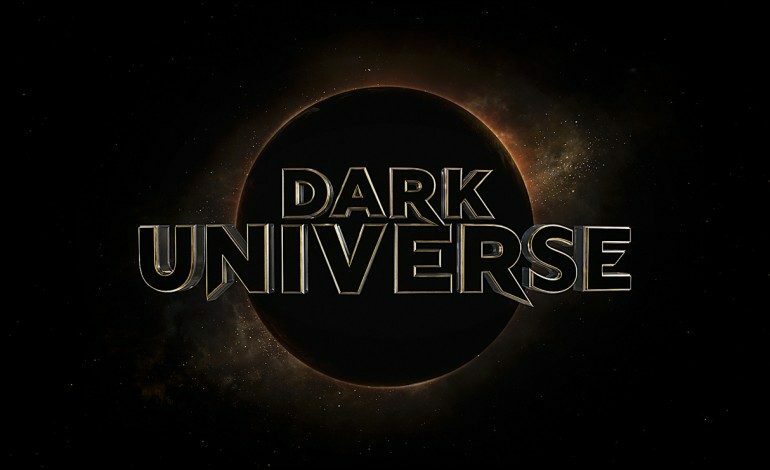 If this information is accurate, it is certainly understandable why Kurtzman and Morgan wouldn’t be thrilled to continue working on Dark Universe projects, especially if Cruise will be involved. Universal seems to have not only fumbled the plot of the first installment of their new universe, but also alienated the individuals they hand-picked to creatively lead the franchise. The cost of such a miscalculation has now become undeniably clear: Kurtzman and Morgan have exited the Dark Universe. The former will be shifting his focus to the CBS show Star Trek: Discovery, which he co-created and executive produces, while the latter will return to the popular Fast and the Furious franchise in order to pen the script for a planned spinoff film starring Jason Statham and Dwayne Johnson. In the wake of their departure, Universal has hit the brakes. The studio had reportedly hoped to cast Angelina Jolie in Bride of Frankenstein’s lead role, but due to the stalling of the project, she has now dropped out. This leaves the future of the Dark Universe uncertain, but things are obviously not looking bright. The studio currently seems to be considering either finding new creative leadership to continue the franchise, or abandoning the shared universe idea altogether and treating the monster movies as standalone features. While the long road Universal has taken to create this monster universe has been littered with false starts and failed attempts, one thing remains clear even in the face of the Dark Universe’s apparent demise: Like The Mummy’s titular re-animated corpse, Universal’s determination refuses to die.